The ASU-U of A rivalry is one of the oldest in the country. The Territorial Cup itself is in fact the oldest rivalry trophy in the NCAA. For this very reason both teams go in to their season each and every year with one main goal, beat that other team, prove your superiority in Arizona. For this reason, you have to call Todd Graham’s first year as ASU’s head coach a success; however, there is still much to be desired from this team. Last night’s game was really a microcosm of the Sun Devils’ season as a whole, inconsistent. Even when leading at half, the game felt like it was being controlled by the Wildcats. Penalties by the Devils and poor tackling of Arizona running back Ka’Deem Carey made it feel like it was always Arizona’s game to lose. Despite this, the Devils did take a lead into the half but like they have all year, they came back out looking lackluster yet again. All year long it seems like when the Devils took some momentum into the locker room, they would leave in there, allowing their opponent to come back into it. Leads against UCLA, Oregon State and USC were all blown during a 4-game losing streak for the Devils. Of course, it wasn’t all bad. Wins over Illinois, Utah and Cal were all very impressive. It even seemed like ASU would make a game of it against Oregon before Will Sutton and Junior Onyeali both went down early on. Todd Graham had a lot of talent to work with this season, I would say talent that is better than its 7-5 record, but it could’ve been worse. The season of course is not quite over yet; the Devils still have a bowl game to play. A bowl win for the Devils would be huge, and would be a great ending for Todd Graham as he heads into his second round of recruiting. Graham may have some big shoes to fill in his recruiting too, with Will Sutton and Junior Onyeali both eligible for the NFL draft and neither saying whether or not they’ll stay for one last year. Will Sutton particularly had an out-of-this-world season, racking up 10.5 sacks and an unreal 20 tackles for loss. 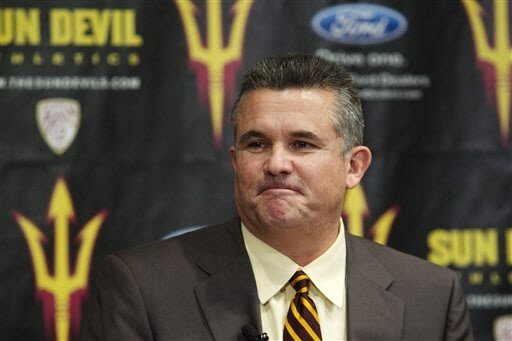 There isn’t much to complain about with Todd Graham’s first year as the head coach of the Sun Devils. The Devils improved on both their overall (7-5 in 2012, 6-6 in 2011) and conference (5-4 in 2012, 4-5 in 2011) records this season. In the end though, they beat the Wildcats, and isn’t that all that really matters. After the New England Patriots’ loss in the 2006 AFC Championship game, there was a loud cry from fans everywhere that it was time to upgrade the receiving corps. The “island of misfit toys” was enough to get New England to within one game of the big one but it just wasn’t enough to get past the Colts (the eventual Super Bowl champions). The Patriot’s head coach and general manager, Bill Belichick, apparently agreed with the outcry and did more than upgrade that position that offseason, he created a juggernaut. During that year’s draft, the Patriots’ worked a deal with the Oakland Raiders to acquire veteran Randy Moss. That season, Moss broke the single-season record for receiving touchdowns with 23 and the Patriots went a perfect 16-0 in the regular en route to a Super Bowl loss to the Giants. Randy Moss was not the kind of player a lot of people thought of when they thought of the Patriots. Moss had issues that mainly consisted of not showing great effort 100% of the time, which is what Belichick demands out of all of his players. The Moss move was a home run for the Patriots but it wasn’t the first of its kind. In 2003, the Patriots made a trade with the Cincinnati Bengals for troubled running back Corey Dillon. Dillon had a lot of off-field concerns; he was also seen as a “jerk” player who did not like being a good teammate. That season Dillon set career highs and Patriots’ franchise records with 1,635 rushing yards and 12 touchdowns in a Super Bowl winning year for the Patriots. These kind of low-risk/high-reward moves have not always worked for Belichick however. This past year, he made big trades with the Bengals and the Redskins to acquire wide receiver Chad Ochocinco and defensive lineman Albert Haynesworth. Both had on and off field concerns and neither made an impact on the team. Haynesworth was cut before the halfway mark and Chad ended the season just a handful of catches. 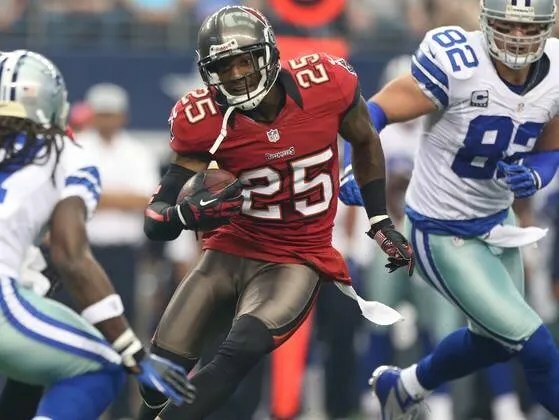 Well, yesterday Belichick did it again with the acquisition of cornerback Aqib Talib from Tampa Bay. Talib is an extremely talented defensive player with a past that is about is checkered as they come. So how is this move going to work out for New England? Let’s compare this move with the other moves of the past. The move reminds me the most of the Moss trade in 2007. The fans have been screaming for almost 3 years now that something has to be done to fix this maligned secondary and it seems that Belichick finally decided on someone that he thought was worth going after. The Patriots have given up more plays of 20+ yards than any other team in the league and adding a talented player like Talib to the secondary should help to bring that number down. This trade actually does not have very much in common with the two moves that did not work last season. Unlike Talib, Ocho and Haynesworth were in the back-end of their careers (in fact neither of them are in the NFL right now). Talib is really in the prime of his career and if Belichick can straighten him out (and if he can do that with a guy like Corey Dillon you would have to believe he can do it with Talib) then he just upgraded his defense immensely. The benchmark for the trade is though is whether or not Robert Kraft will be hanging another banner in Gillette next season. Taking a look at what this does the secondary, you would have to think that Talib immediately becomes the Patriots’ number one cornerback. With Talib in the lineup, the secondary should look as follows: Talib at right corner, Devin McCourty at left corner, Kyle Arrington in the nickel with rookie Tavon Wilson coming in on dime packages, and Steve Gregory and Patrick Chung at safety (when they finally get back on the field). On paper, that is a pretty good-looking unit with Talib in it. Unfortunately, due to a suspension for using Adderall without a prescription, Talib will not be able to play against the Bills in two Sundays (the Patriots are on a bye this week). So I guess we will just to wait until the Patriots play the Colts in three weeks before we can start to really judge the move.